Directions: Upham St To Ardsmoor Rd, Property Is On The Left Side. 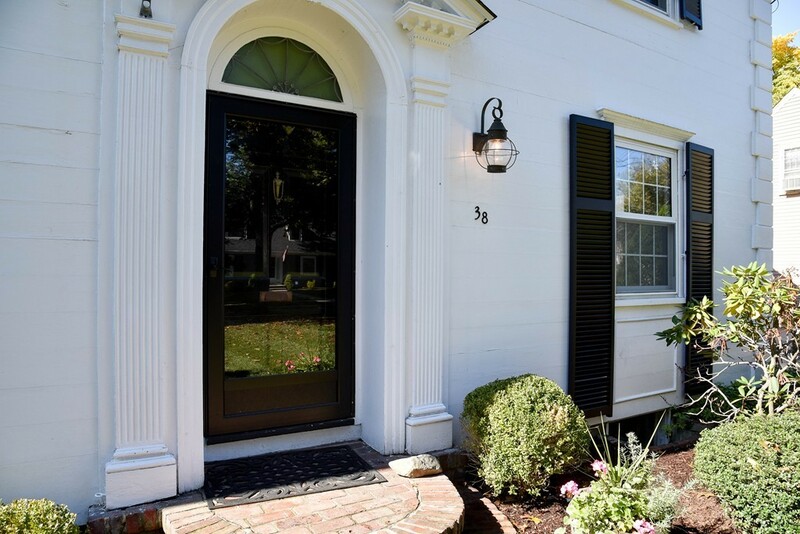 Gracious Center Entrance Federal influenced Colonial on one of Melrose's most handsome streets awaits. Sited on an over 19,000 sq/ft lot, this property offers unparalleled privacy on the East Side and the yard boasts a beautiful canopy of foliage. The front to back living room centers around the wood burning fireplace and opens to the enclosed porch, while the dining room features a built-in china cabinet. Classic molding and lovely hardwood floors, as well as built-ins sprinkled throughout. The kitchen offers bucolic yard views and granite counters, as well as access to the garage. Master bedroom with walk-in closet and private bath, in addition to the main bath and three additional bedrooms on the second. The fourth bedroom is bathed beautiful light from the skylights, bringing the outside in, plus generous storage. Bonus LL family room. Renovated baths; roof & on demand hot water in 2005; and the first floor features a customized color palette. Awesome locale and stately setting.